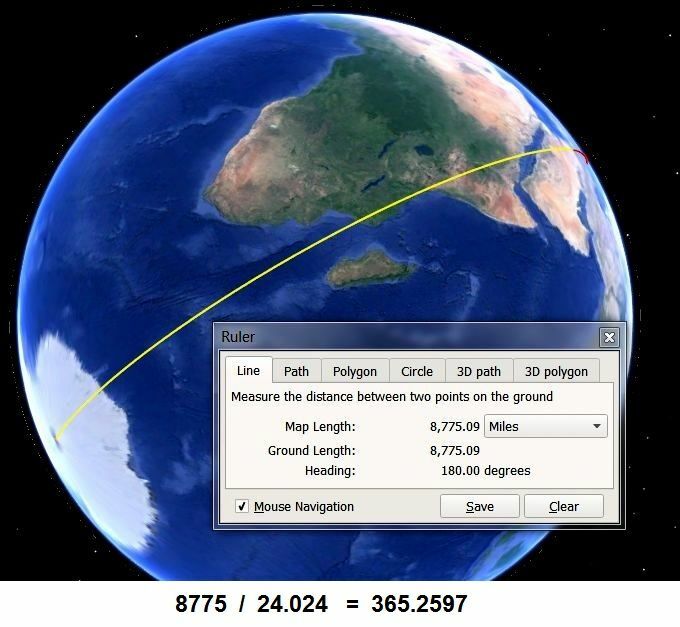 Another "Coincidental" Earth figure can be found by the measure to the South Pole from Gobekli Tepe. So one must now consider the possibility that the reason for Gobekli Tepe being positioned where it is is because they new their site would be memorialising those two Earth commensurate figures , the question is, how on Earth would people living 12,000 + years ago get such information, were they survivors of a much more advanced civilization ? Or shall we just settle for that warm and comforting phrase "Its Just a Coincidence" .